Are you looking for a user-friendly credit card with zero annual fees? Want access to unlimited cash back, exclusive perks and extra security? 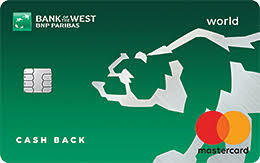 Well, the Bank of the West Cash Back World Credit Card is here to offer you all this and more. With this cash back credit card, you are guaranteed to receive cash back on all your daily expenses, including your grocery shopping. Read on to find out more about the benefits and features of this Bank of the West credit card and how you can apply today. First of all, you can expect 3% cash back on common expenses such as gas, dining out and groceries, and 1% on all other purchases. How’s that for generous? Not only that, all your cash back is automatically credited to your account each quarter as a statement credit. If you love traveling, this card is for you as it offers exclusive features such as a personal concierge and travel services. What’s more, if you’re worried about how secure your card is, you can worry no more. The Bank of the West Cash Back World Credit Card is monitored 24/7 for any fraud cases, and you are protected with zero liability for unauthorized transactions. Finally, this credit card is so easy to manage, you can do everything online. For instance, you don’t need to go to the bank and wait in long queues to change your PIN, activate your card, view statements, make balance transfers, lock and unlock your card, or order a replacement card. All this can be done online from the comfort of your home. 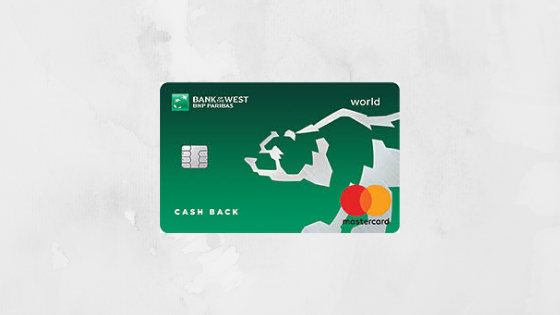 As long as you are eligible, applying for the Bank of the West Cash Back World Credit Card is pretty straightforward and should only take you a few minutes to complete the whole process. First of all, you need to be at least 18 years old and a resident of the US with a Social Security Number. If you are employed, then the bank will require proof of your gross income, as well as your employer’s name, and your rent or mortgage amount. To apply now, simply head to the Bank of the West website and fill out the online application form. Should your application be approved, the bank will determine your credit limit based on your income and credit rating. The Bank of the West Cash Back World Credit Card offers plenty of valuable perks and privileges to those who love to travel and shop. If this is you, visit the Bank of the West website and apply now to begin enjoying a world of credit card benefits.